Towards the end of summer, climate negotiators learned of three trademark applications that were filed in May of this year. One was for the logo “REDDPLUSX”, which is described as a carbon credit brokerage. Another was for the logo “RRU”, which are proposed carbon credits generated by saving or supporting forests under the Paris Agreement. But it was the third, for the logo REDD+, that raised eyebrows across the climate community. It raised those eyebrows because scores of organizations already use the acronym “REDD+” to describe activities that reduce greenhouse gasses by saving or reviving endangered forests. The acronym is generally spelled out as “‘reducing emissions from deforestation and forest degradation, and the role of conservation, sustainable management of forests, and enhancement of forest carbon stocks”, and it describes as set of mechanisms that generate “reduction units”, which might one day be worth billions of dollars as the world implements the Paris Climate Agreement. The trademark applications were filed by the Coalition for Rainforest Nations (CfRN), which is a New-York-based entity that promotes forest-carbon initiatives in roughly two dozen countries, and the applications came to light just as one of those countries, the Democratic Republic of Congo (DRC), proposed a new “Gateway” for handling REDD+ Reduction Units – which, not coincidentally, is what “RRU” stands for. CfRN executive director Kevin Conrad says he’s just trying to provide clarity in a process that often seems chaotic, but critics say the proposals replicate mechanisms that are already on the table, and some see an effort to control a process that’s designed to be open and inclusive. Whatever the motives for their creation, the proposals offer insight into the issues being negotiated here in Bonn, so let’s take a quick look. Who Uses the REDD+ Acronym? REDD+ began as an experiment in 1988, when US electric company Applied Energy Services (AES) wanted to see if it could reduce its carbon footprint by helping poor farmers in Guatemala manage their land more sustainably (for the full story, see “REDD Dawn: The Birth Of Forest Carbon”). The acronym then was “AD”, for “avoided deforestation”, and the concept evolved over the decades as NGOs continued to experiment with the science. Eventually, the phrase shifted to “Reducing Emissions from Deforestation”, then to “Reducing Emissions from Deforestation and Degradation”, and finally to one that includes a broader range of land-use activities. At the same time, standard-setting bodies like the Verified Carbon Standard (VCS) and the American Carbon Registry emerged to provide ways of generating carbon offsets by determining which forests were endangered and which procedures can be used to save them. Within the United Nations Framework Convention on Climate Change (UNFCCC), however, REDD remained on ice until 2005, when Conrad, as lead negotiator for Papua New Guinea, wrangled it back onto the agenda at Climate Talks in Montreal (COP 11). At the 2013 climate talks in Warsaw, the UNFCCC agreed on the Warsaw Framework for REDD+, which is a cluster of agreements on how to develop REDD+ programs at a national or sub-national level and pay for results. That rulebook was enshrined in the Paris Agreement – which, by the way, rarely uses the acronym but instead spells it out in most cases. The acronym is, however, used by carbon standards like VCS and Plan Vivo, as well as by sub-national governments like those of the US state of California and the Mexican state of Chiapas – and that, says Conrad, is a problem. In an interview for the Bionic Planet Podcast, scheduled to be posted today, Conrad said that REDD+ should only be used to describe programs that are embedded into national carbon accounting initiatives under the Paris Agreement. Currently, REDD+ offsets – meaning emission-reduction units that can be purchased by non-state actors to offset emissions – only exist in the voluntary and regional markets, although voluntary standards are increasingly being embedded in national accounting programs. Outside of the climate arena, people do often confuse voluntary markets, regional compliance markets, and the overarching UNCCC. It’s common to see voluntary REDD programs described in the media as having been developed under the UN process, when in fact they were developed in parallel, but with an eye on eventually converging. The Mexican state of Chiapas added to the confusion a few years back when it used the acronym to describe a program that funneled auto usage fees into conservation. All forest-carbon programs are built on scientific guidelines established by the Intergovernmental Panel on Climate Change (IPCC), and voluntary programs are increasingly being used to fund conservation in Latin America, the Caribbean region, and Africa, according to a regional analysis of voluntary carbon markets that Ecosystem Marketplace published last month. A separate report focused on buyers of voluntary offsets. It found that companies purchase forest-carbon offsets as much for their knock-on social benefits as for their conservation values. As projects and national accounting systems evolve, most of these disparate programs hope to become “nested” within the national framework, and Conrad says buyers will need more clarity to know which are and are not nested. He bristles at accusations by some that the CfRN was trying to corner the term to earn licensing fees. Other negotiators cried “foul”, and pointed out that existing standards are working with governments to embed their offsets in national accounting systems, and that the UNFCCC, by design, only sets accounting guidelines, and is not meant to act as a standard. “REDD+ was developed through the UN’s negotiations, which included all the parties to the Convention, and it’s being used around the world by governments, by UN organizations, by civil society, by indigenous peoples,” said Peter Graham, a longtime negotiator for Canada who is now with a consultancy called Climate Advisors. That entity, officially called the “Gateway to Encourage, Measure, Report, Verify and Account for Non-Party Contributions” was submitted by the Democratic Republic of Congo (DRC), the Dominican Republic, Kenya, Mozambique, Panama, Papua New Guinea, and Uganda. Most negotiators say it will probably not become an agenda item in formal talks, but could become a topic in ongoing informal talks happening on the fringes. What Does the Gateway do? Article 6 of the Paris Agreement lays out two paths that countries can use to trade their emission-reductions internationally, and the two paths are not mutually exclusive. The first is the “cooperative” approach, which lets countries coordinate trading among themselves, provided they follow accounting principles that pass muster with the UNFCCC. The second path, championed by Brazil, will be forged within the UNFCCC itself and offer a centralized mechanism for transferring emissions reductions. The Gateway seems to suggest a third way, which Tosi Mpanu Mpanu, DRC’s chief climate negotiator and chair of the CfRN, says will be a UN-sanctioned platform designed to ensure the integrity of emission-reduction units generated by “non-parties”, which are entities that don’t have a seat at the UNFCCC table. They can be cities or states within countries that do have a seat, or they can be companies looking to offset their greenhouse gas emissions. 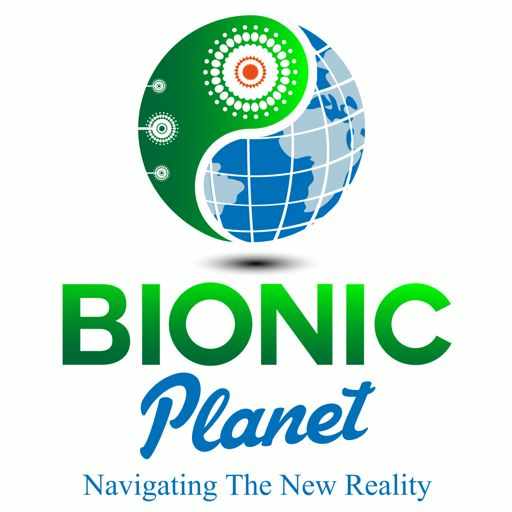 “We’ve realized that in our countries, we often have different private actors that come and implement projects whose quality isn’t clear, whose outcomes are sometimes unfairly distributed,” he said, in an interview that will appear on the Bionic Planet podcast. Few delegates believe the Gateway will become an official agenda item, but it can become a “political movement” kicking around “voluntary meetings” that were sanctioned in 2013 to make sure that outside voices were being heard.